If I were to pose the question “what is interactive design?” I would expect the response to be along the lines of “digital” or ‘“websites” or “mobile stuff”. Not an incorrect statement, but certainly incomplete. Taking interaction back to basics, it’s about creating moments to interact with the world around us in its digital human and physical form. It’s the paper-based communication that hit the spot for me at an early age. I loved books from the moment my parents started to read to me and, whether I realised it or not, my fascination was with the illustration, materials and feel of each hardback, softback or ringbound volume. This all took on a new dimension with my first pop-up book. 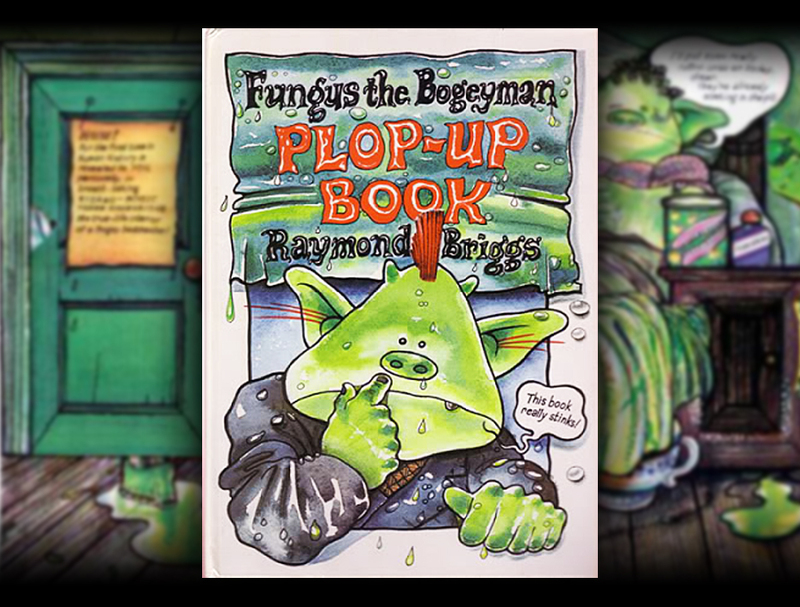 Enter, Fungus the Bogeyman. Raymond Briggs’ irreverent and slightly unsavory tale was my first meaningful pop-up experience (if you’ll pardon the expression) and pulling tabs to raise toilet seats and reveal the monsters within appealed on many levels to a six-year-old. Sadly, my copy of the ‘Plop-up’ book hasn’t survived, however, the following examples are in pretty good shape for low-tech paper and card. My renewed inspiration comes from the incredible Commander Nova's Pop-Up Alien Space Station by Nick Denchfield and Steve Cox. This book doesn’t follow the conventional pop-up approach, shunning individual spreads in favour of one spectacular fold-out structure whereby the outer cover folds 360º to sit back-to-back and form a freestanding space station. Additional card figures and pop-up spacecraft turn this into something much more than a book – now we’re really talking about an experience. Photos don’t begin to do the books justice as half of the pop-up experience is in the animated theatre created, first when the book opens, then pulling, spinning or sliding additional tabs. The video (below) should help to bring each book to life. I still love paper engineering but we’re all too aware of the cost implications, practicalities and longevity of these interactive masterpieces. I’ve been working to keep the dream alive since we began development of the next generation of digital publishing at Brandwidth last year. We have been looking at the most engaging ways to bring the spirit of the physical pop-up book to the iPad. We’ll be adding as much additional content to narrative but in ways that card hasn’t been able to achieve. 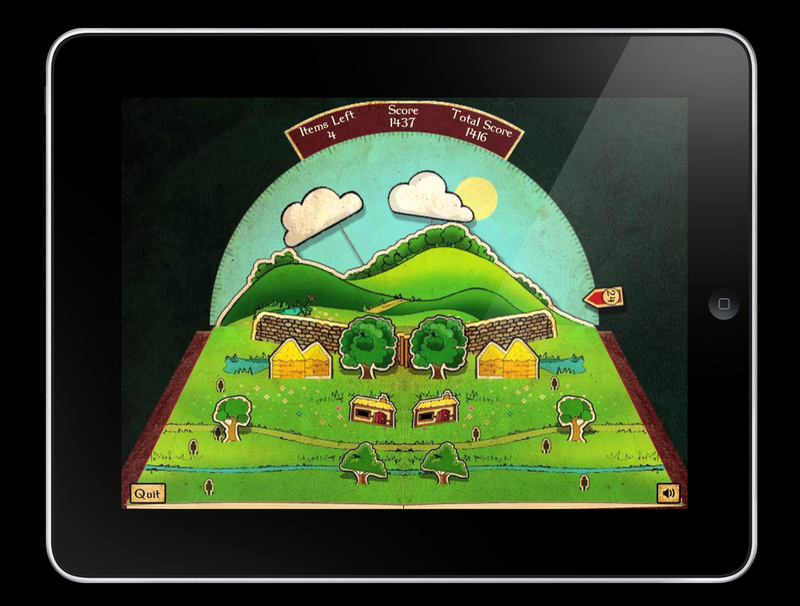 Interaction through gaming is our first option (see Headspin: Storybook below) where a competitive or educational element can be introduced to certain spreads and sensitively weaved into the storytelling. Although new research by The Journal of Applied Developmental Psychology claims that traditional pop-up books are a less effective educational aid for children than a conventional text/image mix, I’m not convinced. Learning is achieved through different methods for different children and the younger generation is becoming increasingly proficient in its digestion of multiple data sources and methods of interaction. We shouldn’t forget that a fun experience also encourages a child to return to a book (or app) time and time again. Multitouch interfaces will help to familiarise users of all ages with content in an increasingly personal experience. I’m not a believer in taking engaging printed material and simply repurposing it for a digital platform. The technology has to add some value or, as designers, we’re not doing our job. Having caught up with Steve Cox (Commander Nova) this week, it is clear that illustrators are keener than ever to see their content brought to life in ever-imaginative ways. The iPad provides just such a platform, reuniting creative production with the sense of touch. It’s time to bring back Fungus in full multitouch glory and recreate Commander Nova with three dimensional pop-up sets providing entertainment and reading pleasure that does the new technology justice. A version of this article first previewed in Design Week.